A collection of stamps figuring photos or images of minerals, cristals, gems, rocks, fossils and meteorites from around the world. 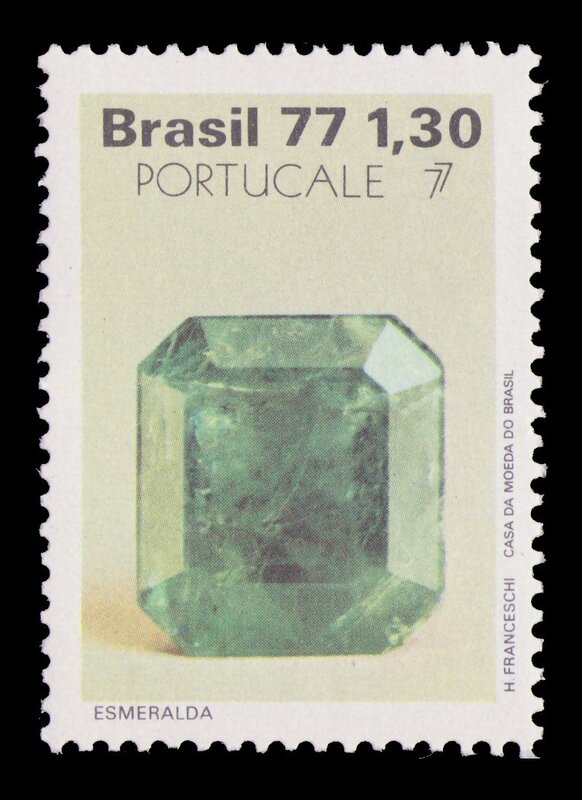 Cut and faceted Emerald from Brazil. In Portuguese (the language used in Brazil), Emerald is Esmeralda.